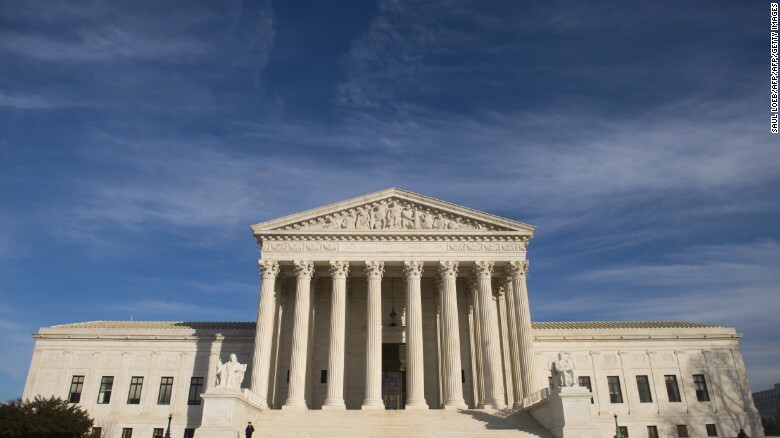 The Supreme Court on Thursday narrowed the grounds on which naturalized citizens can have their citizenship revoked. The case concerned Divan Maslenjak, a naturalized citizen who was deported after lying on her naturalization application. Maslenjak, an ethnic Serb who was born in a Serb village in what is today Bosnia and Herzegovina, arrived in the United States in 2000 as a refugee and was ultimately granted naturalization in 2007. In 2013, however, a jury found her guilty of making false statements on her application for naturalization and she was stripped of her citizenship. The court "unanimously ruled" in favor of Maslenjak, holding that the offense had to be materially related to the decision to grant naturalization. "If whatever illegal conduct occurring within the naturalization process was a causal dead-end -- if, so to speak, the ripples from that act could not have reached the decision to award citizenship -- then the act cannot support a charge that the applicant obtained naturalization illegally," Justice Elena Kagan wrote. Newly appointed Justice Neil Gorsuch issued his first separate opinion in the case, which concurred with the judgment. The ruling will come as relief to advocates of immigrant rights groups who feared that the lower court opinion that went against Maslenjak would give the government the power to take away citizenship and jail people based on any minor misstatement in their citizenship application. The decision also comes at a time of concern in the human rights community that the Trump administration will aggressively seek to strip citizenship, said Steve Vladeck, CNN Supreme Court analyst and professor of law at the University of Texas School of Law. Kagan said the government's position, "wholly unmooring the revocation of citizenship from its award" would open the door to a "world of disquieting consequences -- which would need far stronger textual support to believe Congress intended." Maslenjak's lawyers challenged the jury instruction in the case because the jury was told it could convict her even if the false statement at issue did not influence the government's decision to approve her naturalization. The government argued that it could strip citizenship from an individual who lied during the naturalization process -- without having to prove that the lie was significant to the decision to grant naturalization. Lower courts were split on the issue of whether the government must prove that the offense was material to the decision to grant naturalization. In court, Christopher Landau, a lawyer for Maslenjak, conceded that she had lied. But he said the jury instruction in the case "didn't require the government to prove that the underlying violation of law had any effect whatsoever on the naturalization decision." He argued that his client should be able to go back to court to argue the material question before the jury, and he acknowledged that even then she would have a "tough row to hoe." During arguments for the case, Roberts had a memorable moment when he reviewed a naturalization form used by the government and was concerned about how broad the questions were and of the impact the government's position could have if someone did not fully answer every single question. He launched his own line of inquiry. He noted that one question asks whether the applicant has ever attempted to commit a crime for which he was not arrested. "Some time ago, outside the statute of limitations, I drove 60 miles an hour in a 55-mile-an-hour zone. ... I was not arrested," he said, as the audience laughed. "Now you say," Roberts continued, that if he had failed to note the offense on the form "20 years after I was naturalized as a citizen, you could knock on my door and say, 'guess what, you're not an American citizen after all?'" Roberts later said he thought the government's position could lead to a problem of "prosecutorial abuse."